I know I know! I am super late this time. Without wasting anytime lets get to it then! The box looks like a pastel lover's dream! 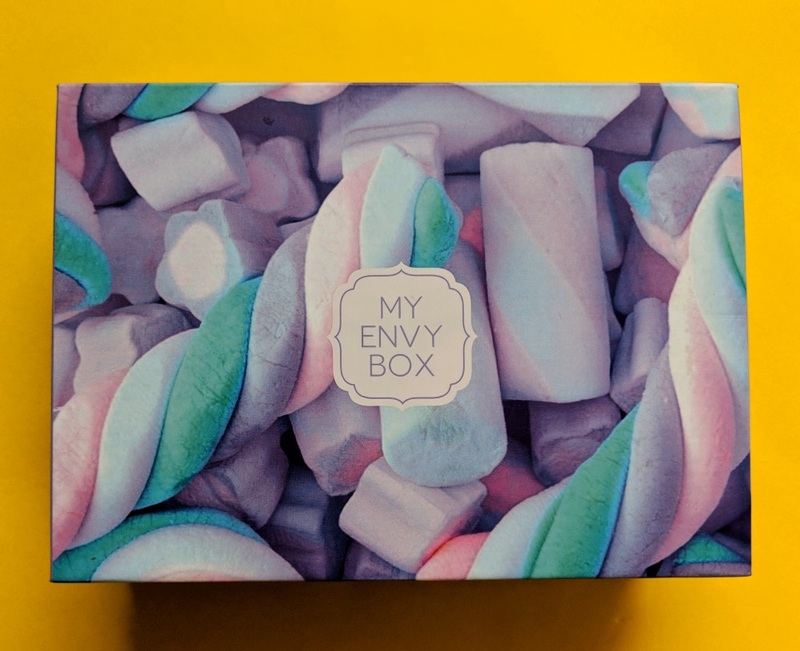 With pretty marshmallow pictures, it makes for a perfect summer box. So let's see what this cute box holds. A full size mascara , who won't be delighted! I sure was! I am super excited to give this a try, although i ma not sure the amount will be fine for me or not. I have heard a lot of good things about this from fellow bloggers! Another full size product! A perfect one at that. A gel base scrub is perfect for the summers and monsoons and I can see myself reaching for this a lot! I am almost finished with my favorite ubtan and I wanted to buy one! 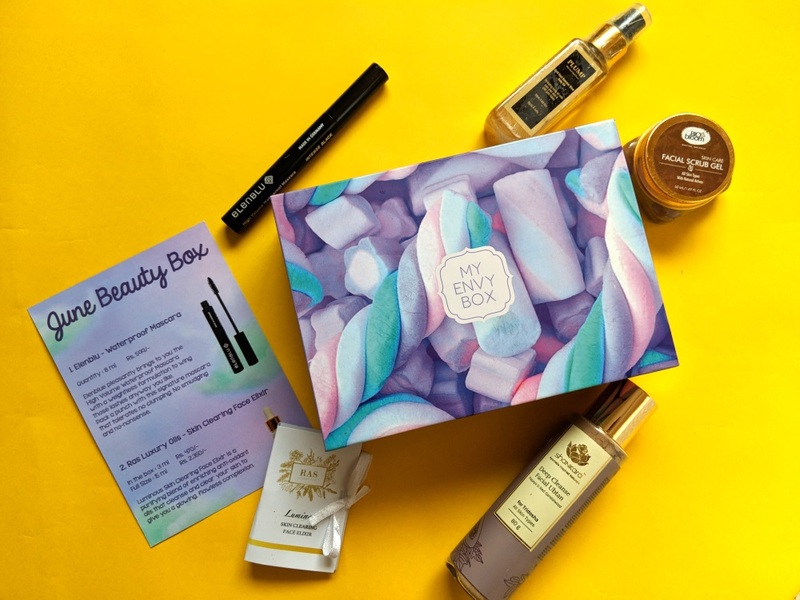 Right at that point My Envy Box send me this!! Perfect timing! A body oil in a convenient packaging with real gold dust! Count me in. I am yet to try it, but it already smells heavenly !! I absolutely love the June My Envy Box! They out do themselves every month, I think! See you soon with lots of posts!